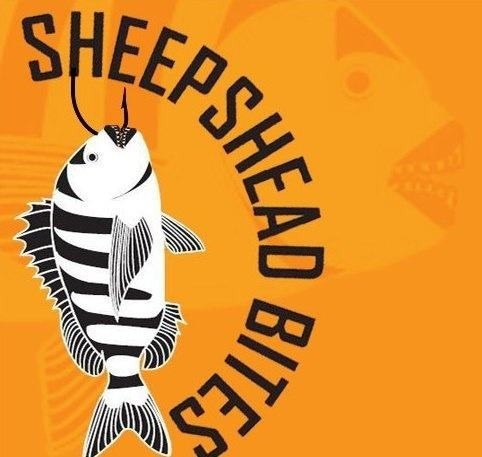 Sheepshead Bites--a blog focusing on Sheepshead Bay, Brooklyn, and the subject of this installment of Confessions of a Neighborhood Blogger--was founded in May 2008 by lifelong Brooklyn resident Ned Berke. Berke eventually made the blog his full-time focus by 2010--growing the readership to 90K unique visitors per month and winning the title of “Best Local Blogger in Brooklyn and Manhattan” by L Magazine. Sheepshead Bites is a local news site dedicated to building and creating a community that covers the Sheepshead Bay neighborhood of Brooklyn. Berke encourages neighbors and readers to share anecdotes and issues about the neighborhood. The site often features pieces from neighborhood residents in addition to original news reporting from Berke. 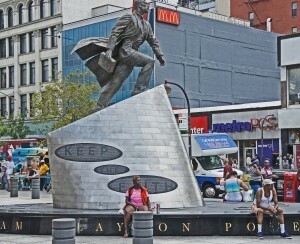 The blog was a constant news source for the local Sheepshead Bay and surrounding communities during both hurricane Irene and Sandy as well as the Maksim Gelman murders and manhunt in 2011. Sheepshead Bay is one of Brooklyn's secret treasures. Great mass transit [with express and local stops on the B and Q]. Great businesses, a lot of diversity and vitality -- but at the same time far enough from Manhattan that it affords residents some peace and quiet. It's an extremely varied neighborhood, with a blend of one and two family homes, condos, co-ops, rental units, etc. 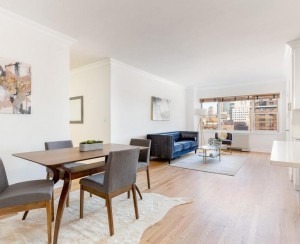 The further you get from the subway, the lower the prices--and sometimes that means some really awesome co-ops less than a block from the waterfront for just $100k. Meanwhile, Manhattan Beach and Ocean Parkway are lined with mansions that can run higher than $10 million. There's just about everything in between. 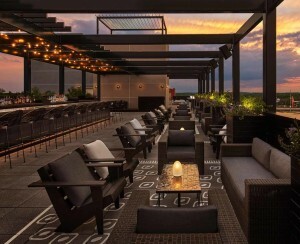 In terms of dining and entertainment, there are a lot of quality spots with affordable menus. The recent influx of Uzbeki and Turkish residents means we've got a lot of tasty kebab joints, Middle Eastern and Central Asian fair. Sheepshead is also known as the half-price sushi mecca, which may or may not be a good thing, but it's cheap. And, of course, there are the old school standbys like Randazzos, Roll n Roaster, Brennan and Carr and Il Fornetto, all of which give heaping portions -- lots of bang for your buck. It all depends on your lifestyle and needs. I'm young, single and mobile, so I like to live near the Sheepshead Bay subway station so I can get around and have access to the express line. I also like it because there are a lot of businesses there -- bars and restaurants and some stores that cover most of my needs. Those with large families and cars might prefer somewhere near Ocean Parkway, in Gravesend. Others put a premium on being able to walk a block to the waterfront -- for which I can't blame them. I really can't stress the variety of housing in this neighborhood. We broke the story on Station Plaza several years back, a planned four-story mall (with possible 16 story residential tower above it) that would abut the station. There's been no progress since the economy tanked, and it's hard to say whether it would be a dream or a nightmare. Many residents see it both ways. Given that Sheepshead Bay Road has been lacking a real anchor tenant to draw people from outside the neighborhood, I certainly see the benefits. But the 16-story tower would probably cause more problems than it would solve, and Sandy showed that the area is lacking the infrastructure for more dense residential development. Oh, plenty. The condos are a new thing. The landscape was in major flux as one and two story houses gave way to six story condos, and then the recession hit and halted the transition mid-step. That's probably a good thing. It gives our community some time to reflect on exactly what they want the neighborhood to look like -- these condos were very controversial, after all --and hopefully push for the zoning that best suits it. All has been pretty quiet since the recession hit, although there are tons of smaller controversies every day surrounding special variances that allow homeowners to build larger than zoning permits, which have long been abused in the neighborhood. There's also the Voorhies Avenue mosque, which was an unfortunate headline grabber for the neighborhood, but that seems to have died down as well. I'd say the biggest changes were in the businesses. In the past 15 years or so, the old-timers gave way to the Eastern European immigrants, and that struck a blow to community cohesiveness as the immigrant community at first didn't see the benefit of joining things like merchants associations or getting civically involved in other ways. In the past five years, the children of these immigrants, or those who immigrated when they were young, began opening their own businesses. Because they're more Americanized, I think they've been serving as a sort of bridge between the two communities, and they've also shown much more concern for the community and getting involved. So there's a bit of a civic resurgence going on, and that's now hitting a fever pitch after Sandy pulled back the curtain on some of the dysfunction. In the next five years, I think we're going to see that grow, and I really foresee a bit of a renaissance in this neighborhood. Bensonhurst. That's why I launched a sister site there: Bensonhurst Bean. The beauty of Brooklyn is the uniqueness of the neighborhoods. While Bensonhurst is probably the most like us, it's very different in so many ways that I sure as heck didn't imagine when we launched the site. Going further out, whether it's Bay Ridge or Park Slope or East New York or Greenpoint, man, it's hard to say what the opposite is. They're all just so different. Who knows. When people complain to me about their neighborhood in NYC, I always just say, "Don't like it? wait 7 years. It'll be totally different." I like it right now. And I like tracking the changes. But forever is a long time. So who knows. I hear the Mars missions are coming along pretty well. That it's "so far away." I hate hearing that. It looks far on the map, but we've got one of the better subway lines and it's 40 minutes to midtown from Sheepshead Bay station. It makes for a great day getaway or a place to live and commute. Sure, it's not 15 minutes away from Midtown on the L, but the average commute in America is over an hour. I find it's rarely NYers who complain about having to take the subway for more than 20 minutes, and those people really ought to put some big boy pants on and open their minds.